The use of Bisphenol A (BPA) in bottles, canned foods, and even medical products has been hotly debated for more than a decade. The toxic chemical has been cited in numerous studies as a hormonal disruptor, contributing to a higher risk of asthma, certain types of cancers, type-2 diabetes, obesity, infertility, and attention deficit disorder, along with other health issues. Nearly 200 cans were tested for the presence of BPA-based epoxy resins and other chemicals. 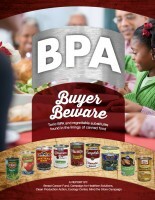 A report released today calls out “alarming” findings on the presence of BPA in canned foods. 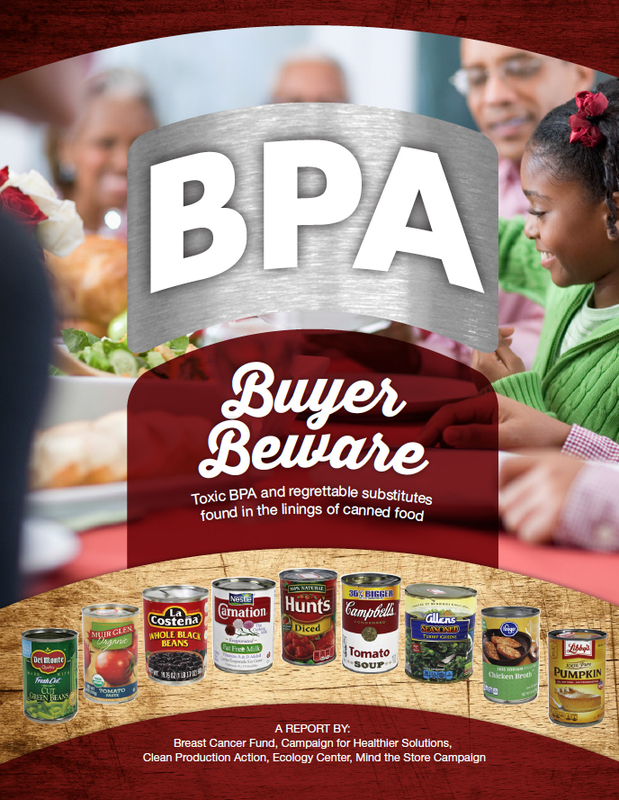 “Buyer Beware: Toxic BPA & Regrettable Substitutes in the Linings of Canned Food”, analyzed 192 canned foods, from fruits and vegetables to soups and gravy to milk for the presence of BPA and other chemicals. 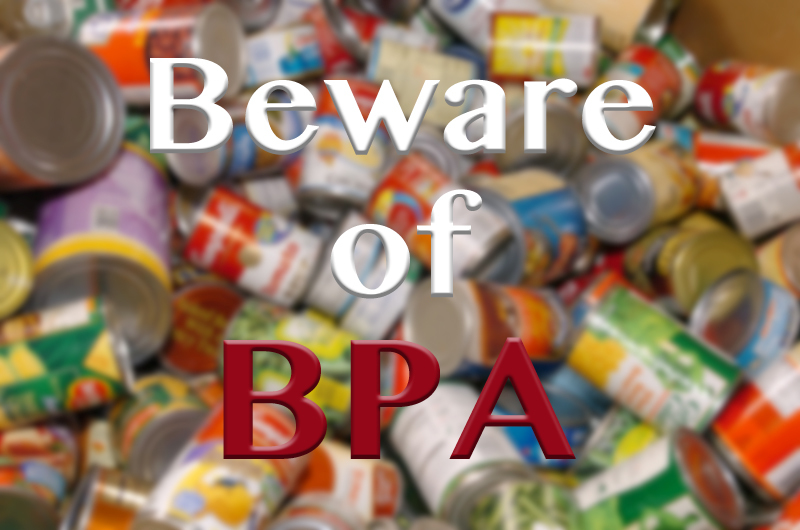 According to the report, Campbell’s, McCormick and Nestle have stated that they will move away from using BPA either this year or in 2017. Although some companies may have initiatives in place to halt the use of BPA-based epoxy in canned goods, some of the other substitutes could be harmful as well. Aside from BPA, the main types of coatings found among the tested cans were acrylic resins (some of which were polystyrene, which is a potential human carcinogen), oleoresin, polyester resin, and polyvinyl chloride copolymers (a known carcinogen, PVC was found in 18% of private-label cans and 36% of national brands). Twenty-two organizations in 19 states and Ontario, Canada participated in the report, which was produced by the Breast Cancer Fund, Campaign for Healthier Solutions, Clean Production Action, Ecology Center, Safer Chemicals Healthy Families’ Mind the Store Campaign, and Environmental Defence.